Since inception, WorleyParsons has committed to establishing operations close to our customers’ assets. This decision is based on the understanding that every asset has a history needing to be understood. Invariably, each asset is a reflection of its leadership team and is supported by a community with expectations, and operations requiring world class on site services. 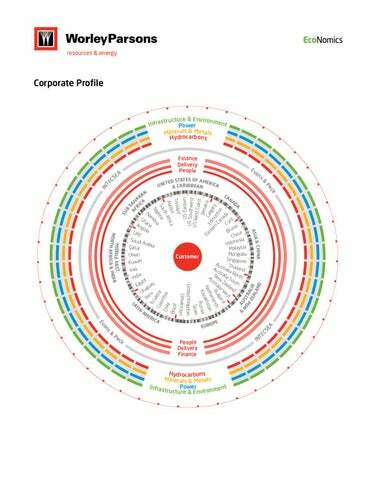 Today, WorleyParsons has arguably the largest global footprint amongst our peers with 143 offices in 43 countries. We are a stronger company because of our commitment to local operations. Using knowledge gained from each site we are able to refine design and project execution strategies to optimally meet our customers’ expectations in an efficient and cost effective manner. Increasingly, owners in the resource and energy sectors are seeking providers to service their assets across a region and/or globally. WorleyParsons’ extensive network of offices and proven track record customizing solutions for local environments has resulted in us being recognized as a pre-eminent provider of global service contracts. Service Delivery Excellence WorleyParsons’ experience covers all five phases of the asset lifecycle. In each one of these phases, we understand the critical issues and tailor our services to enable customers to Select and Deliver their projects and Improve their assets for optimal long term performance. It is recognized that decisions made during the early stages of an investment have the greatest impact on the ultimate business outcome. Unfortunately, early on is often when the least amount of information is available. The juxtaposition of the criticality of making the correct decisions, and the absence of detail on which to base them, creates the challenge Select has been designed to answer. WorleyParsons’ Deliver capability provides our customers with the confidence in the value identified by Select being realized during the Define and Execute phases. WorleyParsons’ project management process provides a scalable, risk based framework for project execution, and ensures the quality, efficiency and consistency of our project delivery approach – regardless of size of project or location. Customers repeatedly attribute the consistent application of our processes as a key differentiator and value enhancer. WorleyParsons’ Improve delivers value, year on year, for our long term customers. Successful Improve contracts are based on strong long term relationships utilizing trust and teamwork. This enables everybody to focus on the critical issues that drive long term contract performance improvement, such as safety, optimal capital spend and efficient and effective use of resources. Our phased approach enables consistent project delivery worldwide. safety Resource and energy projects are becoming more complex and are increasingly being executed in less accessible areas of the globe. Hydrocarbons reserves are deeper underwater and in more Arctic conditions. Minerals and metals are being extracted from more remote locations and transported across longer distances. Power generation and transmission owners are optimizing efficiencies from aging assets while new nuclear and renewable facilities are seeking to accelerate approval cycles. In parallel, all of these investments are subject to an unprecedented level of environmental scrutiny and expectation. Award This year WorleyParsons’ sedimentation scanner and coral transector secured the APPEA Oil & Gas Safety Innovation Award and the Western Australian Department of Mines & Petroleum Golden Gecko Environmental Award. The robotic unit offers a completely remote controlled marine monitoring system, removing the need for divers to operate in highly hazardous environments with low visibility and other dangers. Provision of a complete diver–less solution for marine monitoring is a major step change across the global industry. These challenges are no greater than WorleyParsons’ goal to ensure the health and safety of all the people executing our projects and those who subsequently operate the facilities. Our Health, Safety and Environmental expectations are vital and integral elements of our business. They are embedded into our management systems and processes and influence everything we do. We actively invest in initiatives to reinvigorate our management systems and engage our people, contractors and suppliers in the expectations and programs leading to our goal of zero harm. Initiatives include the total ban on the use of mobile phones by employees whilst driving, seeking cultural alignment for HSE commitments in the Middle East and championing outstanding HSE performance by teams and individuals. Our European operations were very pleased to receive The Royal Society for the Prevention of Accidents Occupations Health and Safety Gold Award for 2011. This is the second consecutive year we have attained this prestigious award. has also developed its Sustainable Project Delivery process, which embeds sustainability into project delivery, small and large, across the asset lifecycle. Currently, the EcoNomics™ suite is being deployed in Australia, Canada, Saudi Arabia, UAE, USA, UK, Uzbekistan and Venezuela on projects that examine challenges associated with CO2 reduction emissions, iron ore sustainability, water management, national power strategies, difficult oil developments and remediation plans. Certification WorleyParsons’ EcoNomics™ assessment, which helps our customers make more environmentally, socially and economically sustainable decisions, was formally audited by Lloyds Quality Register and awarded an LRQA formal certification under ISO9001 as a sustainability process – the first of its kind Lloyds have certified anywhere in the world. With this, we have entered into an agreement with Lloyds to allow them to provide independent third party validation of individual EcoNomics™ assessment projects to customers. invest and acquire technologies that will support their “Licence to Operate” plans. The exceptions to this trend are the oil sands market in Canada and the LNG market in Australia where greenfield development plans continue to attract significant interest. These developments are in small geographic pockets and often have limited available infrastructure surrounding them. Whether trying to extract more from an aging facility or optimally developing an asset safety, quality, cost and schedule remain the primary drivers for owners. WorleyParsons, being the largest international engineering, procurement and construction company in China, is able to offer customers technically strong solutions at attractive rates through our five Chinese offices. platform or a hydroelectric scheme. They seek a range infrastructure and training programs around these specific assets and they are very interested in sustainability and environmental leadership. Central to their need is contractors willing to invest in developing a local business and to remain committed to the local market through all the business cycles. WorleyParsons’ acquisition strategy has supported the need for local operations and over the past two years we acquired Kwezi V3 Engineers in South Africa, CNEC Engenharia in Brazil and increased ownership of our China, South Africa, Saudi Arabia and Bahrain operations. New offices have also been created in Mongolia, Namibia and Ghana. As investment demand shifts from the developed to the developing world, WorleyParsons has an opportunity to capitalize on the strong and expanding position we have in these regions. All of our sectors are making progress in deploying our expertise to support projects in these areas and establish genuine local capability. The ability to move energy in the form of oil or liquefied natural gas (LNG) has become a critical element of the global economy. As the oil resources base is predicted to decline, we are seeing unprecedented investment in LNG plants and the complementary regasification facilities. In recent years the number of offshore gas discoveries has increased. However, not all offshore discoveries are commercially developed due to the high capital expenditure required to bring gas onshore. Natural gas found in offshore fields is either flared or reinjected into offshore reservoirs. In order to monetize such reserves, several companies have been developing floating liquefaction technology, which allows the offshore liquefaction of natural gas. Such floating LNG (FLNG) production facilities reduce the capital expenditure per ton of LNG produced compared to land based terminals, whose development investment is generally higher. The cost reduction is largely due to the elimination of land based facilities and long, undersea pipelines that are required for these LNG production terminals. Floating LNG projects in Papua New Guinea and Nigeria are expected to commence operations by 2015. To date, very few projects have been awarded in this fledgling industry, which is anticipated be a major component of the global LNG sector. WorleyParsons with our Norwegian partner KANFA Aragon was selected by Samsung Heavy Industries to perform a field specific Front End Engineering Design (FEED) for FLEX LNG’s fixed floating LNG production project for InterOil Corporation and Pacific LNG Operations in Papua New Guinea. Ranhill WorleyParsons, with our Malaysian partner Muhibbah Engineering, is delivering Malaysia’s first LNG Regasification Terminal for Petronas Gas. This LNG regasification facility is the first of its kind, and blends onshore and offshore technologies and design considerations. The facility will include two floating storage units to receive and store LNG, and a regasification unit on the island jetty. The resultant natural gas will be transferred via a new subsea pipeline into Malaysia’s network. The world has a huge appetite for energy and it is anticipated that consumption will increase by nearly 40% over the next twenty years. The majority of this energy is anticipated to be created from fossil fuel sources – oil and gas. To meet this projected need, gas assets are becoming an increasingly important part of the energy mix for independent and national energy companies. An increasing proportion of this gas portfolio is from unconventional sources – tight gas, shale gas and coal seam methane. Previously considered too complex to recover, these resources are now being liberated through advances in applicable technology such as horizontal drilling and hydraulic fracturing. In many parts of the world, unconventional resources are changing the energy landscape. The United States holds the largest reserve base of unconventional gas and accounts for nearly 36% of the total unconventional reserves base. With an increasing focus towards reducing carbon emission, the unconventional gas market is expected to gain ground. The markets are responding. International oil companies have increased the share of unconventional reserves in their oil and gas portfolios by expanding their presence in unconventional plays globally. China aims to become a significant shale gas producer while Australia aims to become a coal seam methane producer. Four new LNG plants in Australia are underpinned by commercially recoverable unconventional reserves. The technical and societal challenges associated with optimizing these developments include the environmental impact of water management and land access. The industry is nascent and new production processes are emerging that will permit greater certainty around the estimation of reserves. WorleyParsons is currently executing unconventional gas projects, at various stages of development in Australia, Canada, Europe and the USA. This exemplifies the aggregation of WorleyParsons’ global expertise in gas processing, field development planning and execution, water management, pipelines, procurement and project logistics. The International Energy Agency (IEA) has estimated a decline in world oil reserves of 8.6% by 2030. Three areas that are on the front line of investment are the deepwater fields off Brazil, the Arctic reserves in Canada and Russia and the oil sands in Canada. The projected oil price over the next twenty years, along with the exhaustion of all “easy oil”, has encouraged independent and national oil companies to invest the substantially greater funds required to monetize these reserves. Brazil, one of the world’s largest consumers of energy, has traditionally been a net crude oil importer. However, technological advancements have led to a series of new deepwater fields being discovered. Increasing domestic oil production is forecast to enable the country to be selfsufficient by 2011 and emerge as a key oil exporter in the future. Most of the country’s oil reserves, run by the national oil company Petrobras, are located in the south east coast offshore Campos and Santos Basins. Most of these fields are deep water offshore oil fields with production of heavy grade oil. The reserves are some of the deepest ever commercialized and will require floating production, storage and off-take vessels (FPSOs). In Brazil, CNEC WorleyParsons is leading our efforts to secure a leadership position in the deepwater market. Our global FPSO and offshore Improve capability and experience provides a strong base to build a dedicated operation supporting the national and international oil companies. The exploration of the Arctic for petroleum is more technically and physically challenging than for any other environment – the depth of the reserves, the unforgiving weather conditions and the threat of icebergs to offshore assets. There are 19 geological basins making up the Arctic region. Some of these basins have experienced oil and gas exploration, most notably the Alaska North Slope where oil was first produced in 1968 from Prudhoe Bay. However, only half the basins – such as the Beaufort Sea and the West Barents Sea – have been explored. Alberta’s oil sands reserves are estimated at 175 billion barrels – deemed economically recoverable with today’s technology. Those reserves place Canada second behind Saudi Arabia in the world ranking of crude oil reserves by country. At current production levels, reserves will sustain production of 2.5 million b/d for over 200 years. Lower production costs have been an important factor driving investment. However, in 1996, the Federal and Albertan governments established generic oil sands fiscal terms to make oil sands investment more competitive with oil developments elsewhere in the world. WorleyParsons Canada is a market leader in the successful commercial development of oil sands and heavy oil projects. Our extensive track record ranges from ongoing brownfield support services, fabrication of well pads, through to the execution of multibillion dollar greenfield developments. A growing trend across the developed world is to integrate the power chain and to permit technology to optimize the utilization of current power systems. Smart grids are electricity networks capable of intelligently integrating the behavior and actions of all connected users – generators through to consumers – in order to efficiently deliver sustainable, economic and secure electricity supplies. A smart grid is facilitated by a communications architecture enabling full integration of all functional aspects of the power system (fuel supply, generation, energy storage, transmission, distribution, and the consumer) with its support functions such as operations, markets and service provision. A smart grid employs innovative products and services together with intelligent monitoring, control, communication, and self healing technologies. Its aim is to allow consumers, network owners and operators to play a part in optimizing the operation of the system, significantly reduce environmental impact, and to further enhance the existing high levels of system reliability, quality and security of supply. Ultimately the utilization of this technology is anticipated to slow the rate of demand growth and associated emissions. Energy supply and reliability continue to be a major focus for all resource companies. The reliability of power supply is one of the greatest risks and the cost is one of the largest costs to any hydrocarbon, mining or mineral processing asset owner. This exposure drives businesses to investigate and invest in strategies to deliver long term sustainable solutions. WorleyParsons strong reputation and relationship base positions us well to support Smart Energy initiatives currently being developed by the complex industrial and energy sectors along with developing communities. The world entered 2011 with 440 nuclear reactors operating with total capacity of 377 Gigawatts in 30 countries with a further 66 reactors under construction. This trend accounts for the so – called “nuclear renaissance”. The European Commission states that nuclear energy is the only electricity generation method which manages to meet almost a third of Europe’s demand using 18% of the total installed capacity on the continent. Nuclear power provides for half of the base load in the European Union and 20% of capacity in the United States. The large number of older operating power units (as many as 80%) provides another reason for the rising interest in new nuclear build in the developed world. However, new projects are moving from the developed to the developing world. The newcomers play a key role in the development of the industry including many Middle Eastern and Asian countries like UAE, Egypt, Jordan, Saudi Arabia, Indonesia, Singapore, Vietnam, Malaysia and Thailand. New projects are on the agenda of countries like the Czech Republic, Bulgaria, Slovakia, Poland and Romania and projects in Armenia, Turkey, China, Korea, India, France, Finland, Brazil, Russia, the USA and the UK are moving ahead. Due to the recent Fukushima incident, the global nuclear industry has focused on the capabilities of existing and future nuclear units to “survive” extreme natural events. It is likely that units at the end of their lifecycle will be permanently shut down. Operating costs for some other nuclear plants are likely to rise, mainly due to the need for additional safety measures. It is anticipated ongoing projects with Gen III/III+ designs will demonstrate a qualitatively higher level of reliability if experiencing similar incidents. WorleyParsons is currently providing program management for new build units in Bulgaria, Slovakia, Armenia, Jordan and Egypt. Feasibility studies are being executed in Slovenia and Russia. Support services are being provided to operating plants in the USA, Slovenia, Sweden, Bulgaria and Canada. Coal fired power will remain a dominant source of generation capacity for the next decade. Most western regions have not recovered their pre-financial crisis level of electricity demand. Any additional renewable capacity will require existing fossil plants to accommodate this change. This creates new challenges for the owners of both coal and gas fired assets. Current global economic and political uncertainty has impacted many projects delivering performance upgrades, and uncertainty with regard to air and water emissions legislation has delayed major retrofit projects. Utilities across the world are seeking ways to best utilize their existing fleet of plant. To enable this to occur, many are restructuring their organizations, divesting assets, exploring service provider alternatives and determining their “sweet spot” across the entire energy value chain. The solutions power customers seek in this particular business are diverse. WorleyParsons’ engagement with customers extends from engineering, maintenance, outages, and full plant operations and maintenance support through to retrofit projects like air quality control. Our ability to offer tailored and broad solutions, maintain diverse technology experience and independence, and work collaboratively with customers through long term agreements is central to our offer in the power industry. 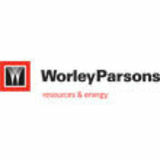 WorleyParsons is supporting a range of customers in addressing the challenges associated with fleet performance optimization including Tennessee Valley Authority, Arizona Public Service, Los Angeles Power and Water, and UCLA in the USA, Fellside in the UK, Ontario Power in Canada along with Verve Energy and Loy Yang Power in Australia. Our provision of maintenance, outages and project services to Tennessee Valley Authority’s coal and hydro fleet has been in place for 20 years. Our team’s ability to deliver industry best practice and achieve an exemplary safety record has been pivotal in maintaining a long term relationship. Across the developing world countries are seeking access to stranded iron ore to support steel production and coal to support energy requirements. Industry analysts predict West Africa could produce around 10% of the world’s iron ore supply, of a similar grade to Australian and Brazilian deposits. The industry leaders BHP Billiton, Rio Tinto, Vale and Chinalco have announced planned expenditure of around $10 billion on projects in West Africa. Coal’s continuation as a cost efficient energy fuelof-choice for many countries has led to further investment in known, but previously stranded, resources. For example, Mongolia has proven reserves of 12 billion tonnes of coal. A number of developing countries with extensive coal deposits also have similar challenges to Mongolia where a lack of infrastructure limits the exploitation of the assets. The mining and material handling aspects of these projects are complex and well known. Invariably, there are unique infrastructure challenges including the development of rail and port facilities, power and water management, environmental considerations and the creation of an efficient logistics network. WorleyParsons has led our industry in creating innovative design and project execution strategies to meet the challenges associated with stranded iron ore and coal deposits. A dedicated team has completed twenty Pit to Port studies for customers in Africa, Middle East, Australia and South America. This innovative track record includes the successful deployment of the first preassembled Transfer Station at Fortescue Metals’ marine offloading facility in Port Hedland for their T155 expansion. Over the last decade the Minerals and Metals industry has been characterized by globalization and consolidation. There is now a clear delineation between major customer groups with a limited number of global mining houses occupying one end of the spectrum, some large pure play miners, a number of large regional producers and hundreds of juniors. Projects have become more complex, competition for the investment dollar is significant and global economic uncertainty has added volatility to the mix. Owners who can efficiently commercialize world class resources across a range of commodities irrespective of location are anticipated to be the ones most likely to succeed. Some of the challenges faced when developing assets in remote and rural locations are inadequate infrastructure (inc. water and waste water, power, roads and bridges), a lack of available skilled resources and successful stakeholder engagement. Innovation is proving critical to successful project delivery around the globe. Some large mining companies are investing in developing long term relationships with their project delivery providers. If structured effectively and with appropriate companies, synergies can be captured in areas such as speed to market, resource and skill security, globally consistent outcomes and positive engagement with local stakeholders. Other companies are focusing on the integration of preassembled facilities and modularization as a key part of their project execution strategy. This is enabling greater certainty in terms of schedule and cost, increased labour productivity, increased site safety performance and the possibility of fast track development. In response to these trends WorleyParsons has developed long term agreements with several global minerals and metals companies including – Vale, Anglo American, BHP Billiton Iron Ore, Rio Tinto and Xstrata. Furthermore we are actively engaged in innovative project delivery through the design, engineering, procurement and construction management of Vale’s S11D Iron Ore Facility 2000km North of Sao Paulo. Asset intensive industries require management services that provide a balanced, strategic approach to ensure assets are managed to deliver the most for their business. The minerals and metals sector is capital intensive so the owners are vigilant in their quest for productivity gains and higher plant reliability at a lower operating cost from existing assets. In the mining sector, many of the players are calibrating their production according to demand so capital efficiency and productivity underpins their profitability. An asset management approach increases productivity through increased throughputs and decreasing unit costs – component parts have a longer life span with greater availability and reliability. The cost reduction from minimization of replacement parts makes a tangible difference to the bottom line. WorleyParsons is in a unique position within the market to integrate operational readiness and reliability into project delivery. We integrate the asset management process during the Front End Engineering and Design (FEED) process and throughout the total life cycle of a project to encourage operational readiness and reduce equipment costs. Through our work with Tomago Aluminium, WorleyParsons delivered the “Nano Project Delivery Process” (NPD). It optimizes delivery of small capital projects and has resulted in a 60% reduction in cycle time and a 32% reduction in engineering costs for Tomago. BHP Billiton’s ISA process assessed WorleyParsons’ work at Worsley Alumina as “Top Quintile” for project deployment and rated as best practice in Investment Process Owner Buy-in, Project Recognition, and Front End Loading. Growth of the global economy and increased consumption is fuelling the demand in the energy (hydrocarbons and electricity) and mining (coal, iron ore) industries which in turn drives those industries to seek additional secure water supplies. Water scarcity is becoming an increasing concern in many parts of the world and is forecast to increase as population growth and increasing urbanization and improved living standards place competing demands on available resources. The number of businesses with water security is declining and this trend is anticipated to continue. Owners are challenged by the complexity and uncertainty associated with issues such as: • Financial, social and environmentally sustainable water treatment and disposal methods. • Sustainable methods for disposal of excess and produced waters. • Whole of life solution for water and wastewater management including end of life strategies. • Management of salts and other components of water and wastewater streams. • Adaptation to climate change, in particular greater intensity of storm events. WorleyParsons is increasingly being sought by resource and energy companies a key partner for all water related issues. This approach eliminates the often ad hoc approach to water management arising at project level, and enables the development of long term strategies to oversee the full asset requirements and obligations through a portfolio of projects. Our close connection to, and understanding of, the hydrocarbons, mining and power sectors, along with our global footprint, provides both a macro and nano perspective of water management issues. WorleyParsons’ strong track record in delivering innovative solutions utilizing pipelines, groundwater and membrane technologies, and sustainability modeling has proven to be pivotal in designing water security solutions for customers. Global growth in shipping of both containerized goods and bulk commodities is expected over the next decade, particularly in developing countries within Sub Saharan Africa and Latin America. The traditional routes and hubs are becoming less relevant as the balance of consumption shifts toward the developing countries. As a result, transport and supply chain leaders need to rethink existing resource and freight logistic paradigms and the role of the primary interface – marine ports. The extent of automation of container and bulk handling terminals will become a critical factor in long term viability of operators. Terminals will need to adapt to the new class of container vessels and need to redesign their Ship to Shore cranes to accommodate future requirements. WorleyParsons is working with owners and operators to optimize these designs for implementation. A new class of bulk carrier will potentially require ports to be built at over 10 kilometers from the shoreline. Economically, such ports become challenging to build with existing widely acceptable marine structures and construction techniques. Port locations are also adapting to new industry demands. The hydrocarbons industry has accelerated its entry to the Arctic to tap previously untouched reserves of oil and gas. This investment shift to the north will require Arctic ports positioned in a very hostile environment where ice management is a critical consideration. Port and terminal design minimizing the impact on the pristine environment in the Arctic will be expected by all the stakeholders. Creating these assets in weather dependent constrained construction windows is an additional challenge. WorleyParsons’ extensive experience in all forms of marine development, comprehensive understanding of the needs of the resource industry, and track record in remote and harsh climate project execution provides a strong basis to create innovative Ports of the Future solutions. The volume of built infrastructure associated with the global energy and resources industry is significant. In the United States alone, it is estimated there are 4,000 offshore platforms, 150 refineries, 350,000 oil wells (on/offshore), 450,000 natural gas wells (on/ offshore), 6,500 power plants and 100 nuclear reactors. WorleyParsons’ restoration expertise helps our customers identify, assess and implement longterm sustainable solutions for facility end-of-life challenges, brownfield developments and in response to catastrophic events. We analyze risks and develop strategies for each asset class by examining the economic, environmental and community implications of holding the asset and its associated liabilities or preparing it for closure and/or redevelopment. There will be an accelerated need for upstream oilfield restoration, offshore platform decommissioning, refinery decommissioning and remediation, mine site closure and reclamation and industrial precinct restoration and brownfield redevelopment. Oil sands tailings ponds and power plant security have been major areas of focus across the industry. The nuclear power plant D4 industry (Deactivation, Decommissioning, Demolition and Decontamination) is well established and anticipated to grow. Addressing dynamic regulatory requirements and increasing expectations of stakeholders is complex and strategy development is challenging. Customers face considerable challenges from the costs and scheduling risks created by approval and regulatory hurdles, the limited site selection options, and the harnessing of potential synergies. WorleyParsons understands these challenges, assesses risks and opportunities associated with the asset portfolio, and creates effective and achievable outcomes. Customers worldwide value WorleyParsons’ integration of consulting, project execution and program management. The benefits of this model are the ability to interface with our customers at a high level, develop the end-of-life strategies and master plan with them, identify risks and opportunities related to the options and manage the delivery of the series of projects required to meet business objectives. We have the ability to integrate our inhouse broader technical and business advisory practice and a broad program management capability. • OECD (18 percent of the 2010 world population) •N  orth America — United States, Canada, and Mexico; • OECD Europe — Austria, Belgium, Czech Republic, Denmark, Finland, France, Germany, Greece, Hungary, Iceland, Ireland, Italy, Luxembourg, the Netherlands, Norway, Poland, Portugal, Slovakia, Spain, Sweden, Switzerland, Turkey, and the United Kingdom; • OECD Asia — Japan, South Korea, Australia, and New Zealand. • Organization of the Petroleum Exporting Countries (OPEC) Algeria, Angola, Ecuador, Iran, Iraq, Kuwait, Libya, Nigeria, Qatar, Saudi Arabia, the United Arab Emirates, and Venezuela.